This little bunch (plus two additional family members and new pup) have been part of the LYYP family for several years. This particular patient pet, Bernie, left us for dog heaven a few years ago. Today I’m remembering Bernie (who’s prominently featured all over my website — he was super photogenic) as I proudly tell you that I’ve been awarded a Recognition of Merit in the “Family” category of the 2017 First Half NAPCP International Image Competition for this great image. 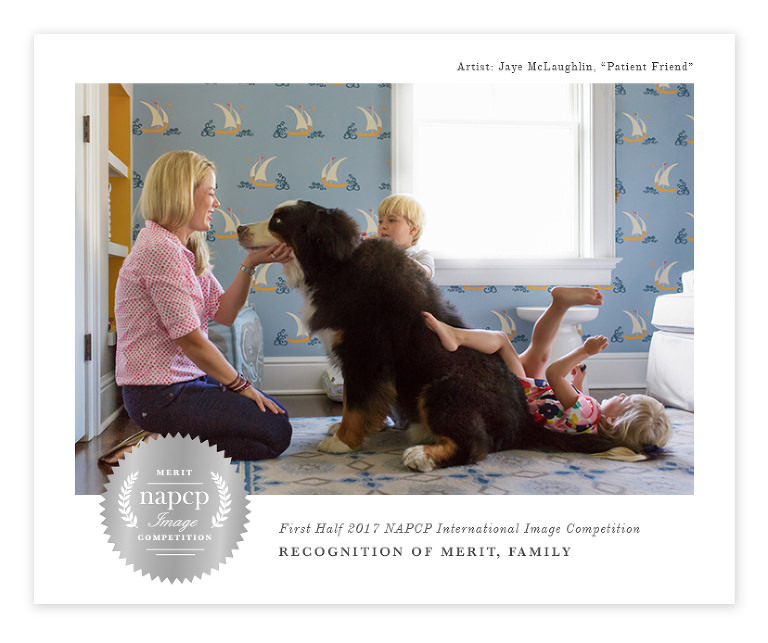 NAPCP (The National Association of Professional Child Photographers) is a wonderful organization and a great resource for photographers. I’m truly honored to have been recognized among so many of the thousands of submissions, and am as ever, soooo grateful to be able to work with all these beautiful families! You can browse through all the winners in five categories HERE.